Best Corum Watch Review with top rated user reviews. Welcome to the The Best Corum Watch Review with top rated user reviews in the best selling Corum Watches and Luxury Watch Brands categories. With its technical excellence, breathtakingly innovative, bold and colourful designs, the latest and best Corum Watch Review hopes to capture the essence of Corum watches. Featuring top rated reviews from trusted users of Corum Watches and lowest cost suppliers sourced offering safe and secure global shipment. Choose your new best Corum watch from our latest and best Corum watch review. Since inception in 1955 Corum watches have infused a true blend of passion, skill, distinctive styling, bold and unique designs throughout their collections. Corum watches have firmly entrenched themselves as masters in the art of fine watchmaking. Sure enough a Corum luxury watch will bring an instant touch of class to any look. The best Corum watches are the perfect style enhancing and timekeeping accessory to take with you wherever you go. Take a look at our individual product featured reviews to get a more in depth appreciation of each product’s unique characteristics as well as our own in-house full review and analysis. A brief History for Corum Watches? 1 A brief History for Corum Watches? 2 Are Corum Watches any good? 3 Where are Corum watches made? 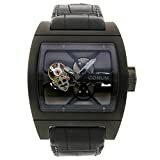 4 What Warranty is available with a Corum Watch? 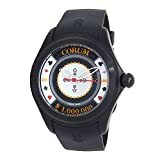 5 What Price range are Corum watches available for sale? 6 What are the Pros and Cons of buying a Corum Watch? 7 Should you buy a Corum watch? The Corum watches brand was founded in 1955 in a workshop in La Chaux-de-Fonds (Switzerland) by a master watchmaker named Gaston Ries and his nephew, René Bannwart. Within their first year of formation, Corum watches had produced its first watch. Corum’s founders were very clear and totally focused in their determination to position the Corum brand at the vanguard of the Swiss watchmaking industry. The watch brand had a number of spectacular early successes with models like the women’s Chinese Hat (1958), the Coin watch (1964) and the Romulus (1966). These watches were considered outstanding for their unique and innovative designs equipped with original watch movements and mechanisms. The Admiral’s Cup range has been continually revitalized again and again and thereby has been able to command the seas for over half a century while the Bridges line has enlightened the watchmaking world for 35 years. The Heritage collection incorporating such models as the 20 Dollars Coin Watch, have left a world class legacy in the fine watchmaking world. Following up with the Bubble range oozing contemporary artistic design and creativity, Forum watches have ensured their place in the world of Fine Watchmaking as being one of a kind and thereby legendary. At the turn of the millenium Corum watches was bought out by Severin Wunderman, who as acting chairman appointed Antonio Calce in 2005 as head of the brand. Following the demise of Severin Wunderman in 2008, his friend and financial advisor, Serge Weinberg Corum was appointed as the chairman of the board. In 2009, Corum took over its US distribution agent CORUM USA LLC, and inaugerated Antonio Calce as the man to lead the new American subsidiary. Approaching his 95th birthday in 2010, the other founding member, René Bannwart passed away. In 2011 Antonio Calce bought a significant shareholding in the Corum brand management. 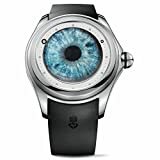 Two years later in 2013, China Haidian Holdings Limited bought out the company and subsequently restructured Corum with managerial changes and Antonio Calce was ousted from the iconic watch brand. Currently the company is owned by Hong Kong-based Citychamp Watch & Jewellery Group Limited together with Eterna. Both of these Swiss watch companies are managed by Jérôme Biard, who was appointed on 1st September 2017. Are Corum Watches any good? The Corum watch brand has established creativity and daring to be of its leading and guiding principles enabling it to become well known for its highly refined aesthetic quality timepieces excelling in technical brilliance. Corum has repeatedly been able to produce iconic collections enhancing them with a touch of modernity, combining them with cutting-edge technology and innovation. There can be without doubt no ground to wonder how the Corum brand identity and reputation have become synonymous with the elites in the Swiss watchmaking industry. The Corum brand is proud to perpetuate the values and expertise of fine watchmaking while continuing to look towards the future by creating the watches meant for tomorrow, today, to the awe of the watch enthusiast. A Corum watch’s visual appearance is always considered to be a real “looker”, whether it is either one of the more representative or eccentric timepieces. Where are Corum watches made? La Chaux-de-Fonds is the Swiss town founded in 1955, also home to Corum watches located in the Jura mountains a few kilometers from the French border. It is a renowned centre of Art Nouveau and owes its growth to Swiss watchmaking. Since 2009 the town has been classified as a UNESCO World Heritage with regard to its being the typical urban landscape for the Swiss watchmaking industry. To this very day it remains a very at the heart of the Swiss watchmaking industry. What Warranty is available with a Corum Watch? The Corum watch warranty is valid for 2 years from the date of purchase and will cover your watch for any manufacturing defect that may arise. For this to be valid there is the condition that your Corum timepiece should be purchased from an authorized Corum dealer. The warranty excludes as usual these days, wear and tear as well as any damage caused by accident or by careless handling accordingly to the Corum warranty terms. What Price range are Corum watches available for sale? Surprisingly it is sometimes possible to pick up an entry-level Corum watch for around $2K which is still quite an achievement if you were to consider that in order to be the proud owner of the top of the range bejewelled models you would need to have to be able to put down a cool $250K on the table. In between both ends of the price spectrum there are many models to chose from and their many variants available with differing specifications suitable for many price points. What are the Pros and Cons of buying a Corum Watch? Should you buy a Corum watch? Corum watches have a colourful and flamboyant history in the Swiss watchmaking industry responsible for many successful watch collections over the history of their operations. There models are simply awe inspiring artistic masterpieces able to compliment any outfit. Personal styling gets a whole new meaning with the cutting-edge, unique and beautiful creations coming out of the Corum stables. Something truly beautiful to take wherever you go with many happy customers worldwide to testify the same if not more. 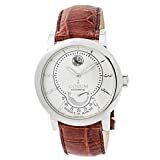 As always and as with any watch manufacturer there might be some negative Corum watches review postings here and there for various reasons. Nevertheless generally speaking most consumers who have purchased a Corum wrist watch have grown tremendously attatched to their timepiece and view it as an investment due to the positive experiences that they have had. Corum Watches Reviews help the process of exploring the world of Corum watches further. This Corum watch review is another one of our top rated watch reviews from WatchiWatches. These latest and best Corum watches reviews feature actual customer reviews from real and trusted users. Many users on other watch brand forums also manage to take a moment out in order to appreciate with a world class Corum watch review. Choose your favourite best watch review after considering what trusted Corum watch owners have to say in various watch forums and ultra luxury watch brand reviews. LIMITED EDITION OF 88 PIECES! Thank you for browsing through our Corum watch review we hope you have found your perfect companion from our top 10 watch reviews from the top 10 watch brands featuring Corum watches. Yet another expensive watches review from WatchiWatches presenting The Best Corum Watch Review with ultra cool Corum Luxury watch reviews at their best. In addition to this really outstanding Corum watch review why not consider comparing Corum watches to peer group Top 10 Watch Brands? Try our Compare watch brands category on the main menu. 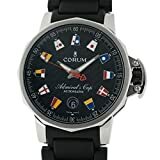 The Corum watch review is an outstanding example of how we can bring such awesomely iconic top watch brands to you with our review site and mutually benefit by locating the lowest price to buy these watches online as the perfect gift for lovers. 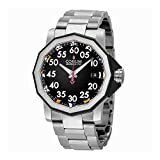 Top ultra Luxury watch brands like Corum watches have always been the best watch brands to enhance our ultra luxury watch reviews. We have all the ultra expensive watches all here under one roof with the best watchmakers in the world to compete for pole position amongst industry peers so ENJOY this Corum watch review and all other latest and best watch reviews we have prepared for you!